Mr Grant talked to the Sydney based DJ of ten years in June about genres, working with the UK’s Mystro, linguistics, and touring. The hearsay that hip-hop down under is great keeps on coming. Well, I was born in Austria but have been living in Sydney, Australia for 8 years; started DJing fifteen years ago, been a full time DJ for about ten. 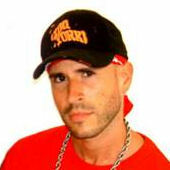 Have been involved in hiphop on a DJ, radio and producer level, please check out NickToth.com for more info. Are you purely a hiphop DJ or do you like other music forms? I had just finished a track for local MC Maya Jupiter, which is coming out on a comp through Warners, so we thought it’d be cool to do a remix with a couple of international artists, Mystro was in town, he was into the idea and it turned out dope! Sounds cool…so do you have much contact with British hiphop? Yes definitely, a number of UK artists have toured Oz: Rodney P, Skitz, Roots Manuva, Dizzy Rascal, etc and heads here check UK releases on the regular. OK, moving on – Looking at your bio, it says you grew up in various countries as the son of an Austrian diplomat, how has this influenced your outlook on hiphop? Would you say you have a more worldly perspective? Right so I take it you speak German right? What’s the Austrian and German hiphop scenes like? Does the difference in language have a noticeable impact on the overall style of hiphop in German-speaking countries? I guess it’s just like in most other countries around the world where hiphop is adopted: MCs talk about issues close to them in their own language; The music varies but is often modelled on the US sound. Well you’ve played in Asian countries such as Indonesia , Malaysia and Japan — how receptive are audiences in these countries to hiphop? Have you played in the UK at all and if so, what do you think of the hiphop crowds in this country? Haven’t had the pleasure, have you got any hook-ups? So what releases do you have to your name to date? Here’s a list for you! Do you have a radio show or ever play on radio? Does hiphop, and more specifically homegrown hiphop, get much airplay in Australia ? Is it true that homegrown hiphop is on the rise in Australia ? What’s the state of the hiphop scene in that country? Will it ever blow? Definitely on the GROW! Every year there is more domestic releases than the previous. That’s good to hear… so having judged at DJ competitions, what do you look for in a turntablist? Two things – originality and funk. What other DJs in Australia should UK heads check for? Look out for IDEM — a deep funk don, Danielsan — a great performer, Ennio Styles – nu jazz style! and Chant Down – Australia ’s number one reggae sound…. What’s the hiphop and turntablist scene like in a big city like Sydney? To be honest, the turntablism thing climaxed around four years ago, but the local hiphop scene is still growing. Who would you say are your heroes in the world of hiphop and turntablism? What inspiration have they provided you with? Watching Cash Money win the 1988 DMC World Finals made me want to become a hiphop DJ; Production-wise I get inspired by Kayne West, Madlib, Timbaland, dancehall, folk rock and afro-beat. I agree with that fully man….on a similar subject, you’ve been the tour DJ for acts like 50 cents and Obie Trice, how does that world of hiphop compare to your work at street level? Finally, do you have any shout outs or parting words? Big up all UK massive, Mystro, Mickey Morphigaz, Rodney, Skitz and all music fiends around the world! Check out www.nicktoth.com for news from down under! Thank you Drop Science for the opportunity to babble on, PEACE!